So actually, this was going to be an ‘Oh my god, please help me! I don’t know which dress to buy if at all any’-post. As you might have read in yesterday’s outfit post I was kind of struggling with my own thoughts about a dress for my Royal Albert Hall outfit. I even started making up outfits around both dresses and writing a pros and cons list in this very post, when I decided to ask the shop whether the wine red one would return in stock as it got sold out. Turns out it will not return. Sometimes life decides for you and as there was only one black version left in my size I just couldn’t help myself ordering it. Recap: I’m going to Caro Emerald’s concert in the Royal Albert Hall in London in March. You can check out part I about my outfit quest here and another post about this here. I tried on the above velvet dress in black this tuesday and totally fell in love with it. I instantly felt like a 50s diva strolling down a red carpet sipping from a cocktail with a handsome man (the boyfriend) on my side wearing a dazzling smoking. And this for the sale price of €59 which is below the budget that I had in mind. Believe me when I say that the picture of the black dress doesn’t do it justice at all. I can’t wait to have this dress at home and start collecting the rest of the pieces for my outfit. 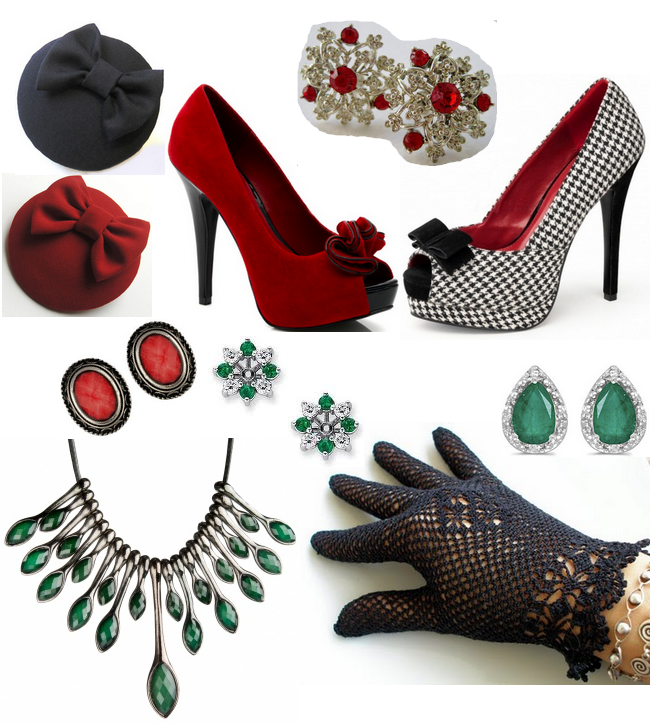 Below I will share some inspiration collage I made for items to finalize my outfit. As you can see I have the tendancy to pick out red and green items to go with the outfit. I really like black crochet gloves like these. But I really feel like adding a bit colour through the accessories, because the dress is black already. Right now I’m thinking crochet gloves (black) or dark red gloves of some kind. For my hair I really like those pillbox fascinators. Would be cool if I could find it houndstooth printed and wear it with the houndstooth heels. I have had my eye on these lovely houndstoothed specimens by Pinup Couture for about a year now probably. And ever since I decided to create a special outfit for the Royal Albert Hall I kept these in mind. But now I’m in doubt whether to go for these red ones instead maybe, because that would make it easier to find items to go with the outfit. What do you think? 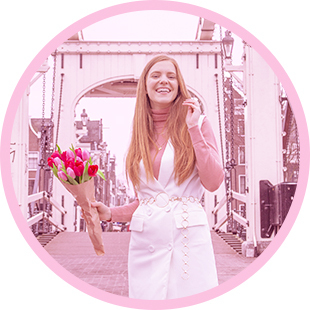 Wat een gave outfits, en super leuk dat je je helemaal wil updressen. Beide looks zijn gaaf! Red ones! Go for the red ones! When in doubt! Would really mean a lot to me and maybe some feedback?